A fun way to advertise your restaurant or farm. 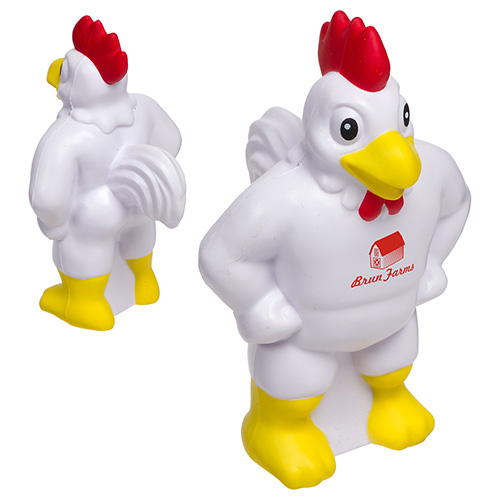 Chicken Mascot shaped stress reliever. 2-7/8" x 4-5/8" x 2-3/8"
Bulk / 21 lbs / 250 pcs. / 24x14x15box.